Middletown, Penn. 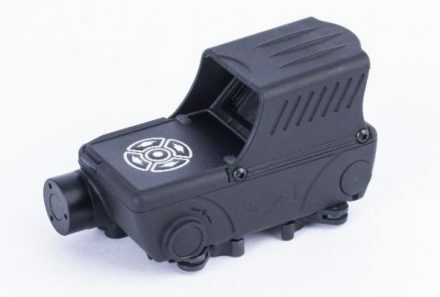 (January 2019) – Meprolight USA®, a Subsidiary company of Meprolight®, a world leader in a variety of Electro-Optic, Thermal, and Night sights, will be hosting the international training specialist, Instructor Zero at Meprolight booths 20043 and 15138 during the 2019 SHOT Show in Las Vegas, Nevada. On January 22nd and 23rd, Instructor Zero will bring his unique brand of training special operators to SHOT Show attendees. 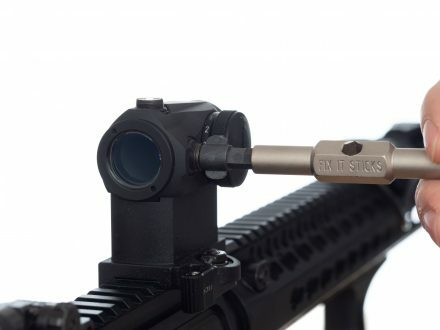 Besides offering his expertise, he will also demonstrate Meprolight USA’s new products, including the Mepro Foresight, the first-ever Augmented Reality reflex sight, the Mepro NYX-200, a multispectral thermal weapon sight, the all new Mepro HVS Night Sights and the Mepro MicroRDS pistol red dot and backup sight. Instructor Zero will stay on after his demonstration for a raffle announcement followed by poster signing and photo opportunities. Instructor Zero, founder and CEO a Group of Companies under the name Team Zero Group, is a former Airborne Cp.l Instructor with expertise in firearms, strategy, security, risk analysis, and survival tactics. University Clinical Professor for 11 years in the Faculty of Science for Investigations and Security. His team provide training, strategic design, analysis, study and implementation of security protocols for high security clearance sites. Instructor Zero has worked with over 80 Special Units, including Special Forces and law enforcement from around the world. 2:30 p.m. Instructor Zero announces raffle winner, poster signing and Instagram photo shoots until 3:30 p.m.
4 p.m. Instructor Zero announces raffle winner, poster signing and Instagram photo shoots until 5 p.m.
Meprolight USA’s commitment to their US customers will be on full display with game-changing new optics and an all new HVS night sight family and new versions of the most popular Meprolight optical sights. 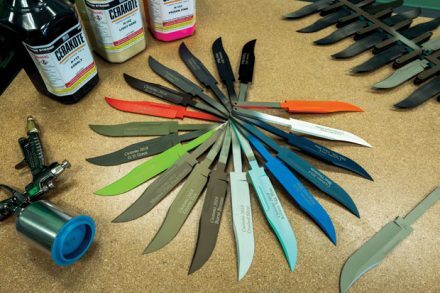 Their US-based sales team will be present to firmly establish a solid and professional presence in the optic market. Current and former retailers will have access to knowledgeable and responsive sales staff. New retailers will find out why carrying the Meprolight USA brand builds customer loyalty and brings in profits. Parker, CO, December 18, 2018—There are few of us who have experienced what Special Operations team members have felt during a perilous and secretive mission. David Burnett has and he’s chronicled it in his powerful memoir, Making a Night Stalker. 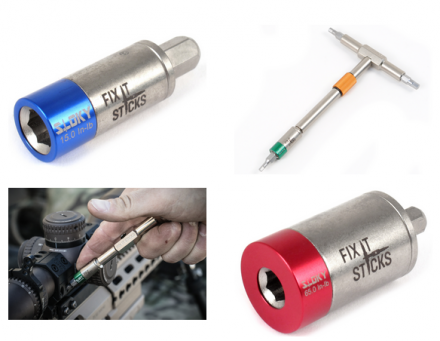 Chicago, IL- Fix It Sticks, the industry innovator of modular firearm maintenance tools and torque limiters has the perfect gift for anyone who loves the outdoors. 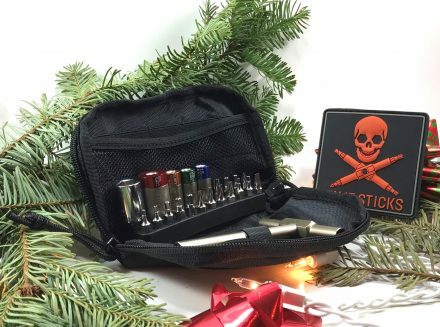 With so many options and price points available there’s something from Fix It Sticks worthy of any gift guide. Check out some of the great suggestions below. ROSWELL, Ga. – Tuesday, December 11 – Tripwire Interactive, Antimatter Games and the Green Army Men Team announced today the launch of the Rising Storm 2: Vietnam – Green Army Men Christmas Special, the toy-sized update for the award-winning and critically acclaimed first-person shooter. Starting today and running through the first week of January 2019 on Steam, players can look forward to taking part in the gritty and strategic 64-player player matches Rising Storm 2: Vietnam is famous for on a brand-new Christmas-themed map where miniature toy soldiers vie for control over fortresses spread throughout a cozy home decorated for the holidays. Take cover behind building blocks, use race car tracks to access new areas, and take advantage of the toy helicopters to gain the high ground. The Rising Storm 2: Vietnam – Green Army Men Christmas Special update is available for free to all players who own the game. In addition, as part of today’s update, players can also look forward to a free Seasonal M1 Helmet and a host of seasonal themed achievements. And, of course, all the normal Vietnam content will remain available to all players, in case you’ve had too much festivity and need to run through the jungle some more! Available now on PC, Rising Storm 2: Vietnam is the sequel to Rising Storm, PC Gamer magazine’s 2013 ‘Multiplayer Game of the Year,’ published by Tripwire Interactive and developed by Antimatter Games. Command your team to victory in massive 64-player battles with authentic weapons, aircraft, and maps that pit conventional military forces against guerilla forces. 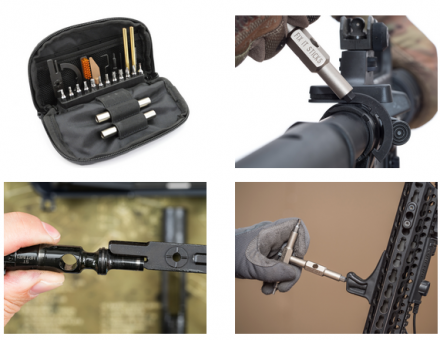 Saint Petersburg, Fla. (December 10, 2018) – SB Tactical®, inventors and manufacturers of the Pistol Stabilizing Brace®, is now shipping the CZPDW™. Designed specifically for the CZ Scorpion EVO S1 pistol, the CZPDW offers three-position adjustability with a fast and convenient pull-through design. 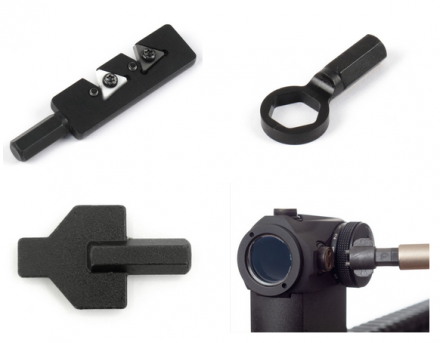 The CZPDW greatly enhances the usability of the firearm by adding a third point of contact for stabilization and does not change the classification of a pistol in accordance with GCA provisions. 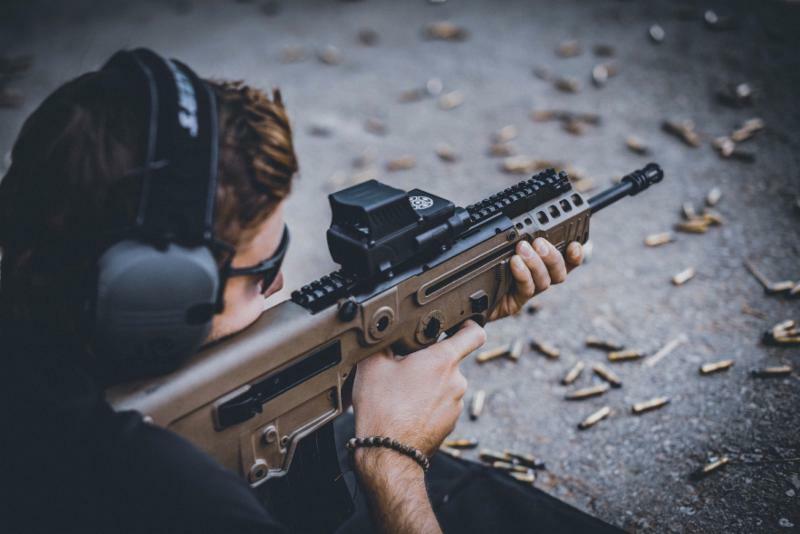 The CZPDW is provided as a complete assembly, ready-to-install, and utilizes the established Manticore Arms Scorpion Evo Slider Stock housing that is made of 6061 hard-coat anodized aluminum and features an integral QD sling attachment. Offered in black and FDE, the CZPDW weighs 13.1 ounces and measures 3.25” collapsed, 7.0” at mid-point, and 9.25” fully extended. 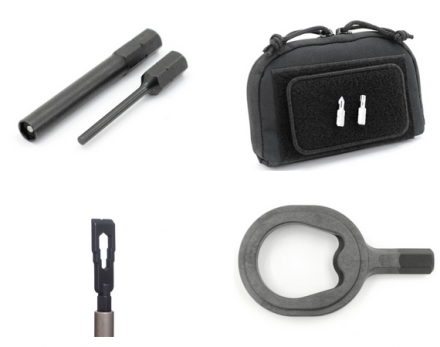 The CZPDW is BATFE compliant, veteran-designed, and proudly manufactured in the USA. 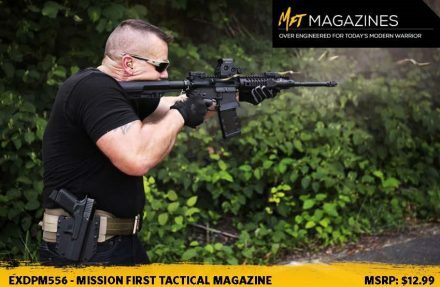 For more information visit www.sb-tactical.com and follow @SB Tactical on Facebook, Instagram, and YouTube. 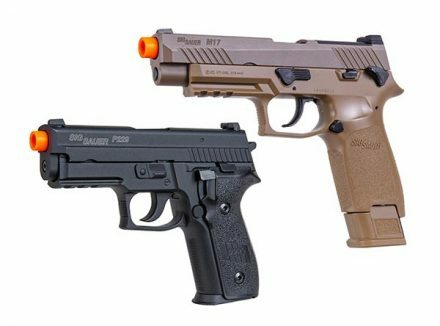 Newington, N.H. (November 15, 2018) – SIG SAUER, Inc. is pleased to announce the expansion of the Legion Series of firearms with the introduction of the P938 and P238 micro-compact pistols. 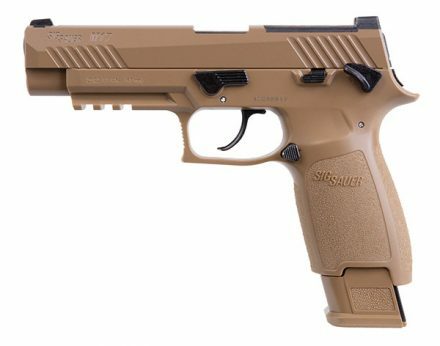 Legion is an exclusive product line developed by SIG SAUER based on input from elite shooting professionals, and designed to exceed the expectations of the serious shooter. 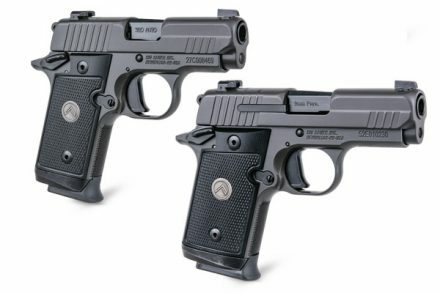 The Legion Series P238 and P938 micro-compact pistols are both 9mm, hammer-fired pistols, equipped with X-RAY3 Day/Night Sights. These pistols are all-metal with a Legion-gray coated slide and frame, a precision machined aluminum trigger, custom high-checkered black G10 grips with a Legion medallion. Like all Legion Series pistols the P238 and P938 feature a reduced and contoured elite beavertail, which allows for a higher grip, but a reduced profile, thus eliminating printing. 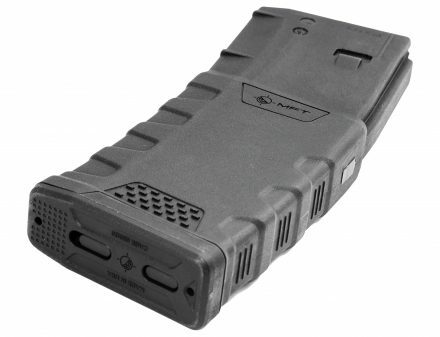 The Legion Series P238 and P938 pistols come standard with three 7-round magazines. Total length: 5.5” Barrel Length: 2.7” Weight (incl. magazine): 15.2 oz. 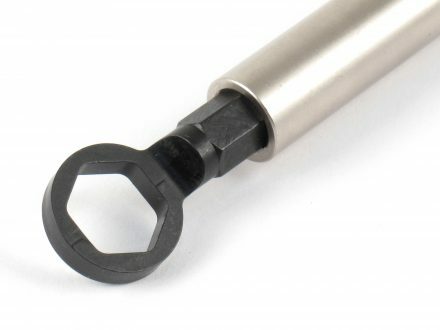 Total length: 5.9” Barrel Length: 3.0” Weight (incl. magazine): 17 oz. The Legion Series P238 and P938 micro-compact pistol is available in retail stores. To learn more about the complete Legion series of firearms from SIG SAUER visit sigsauer.com/legion. 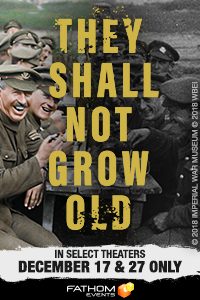 DENVER – November 12, 2018 – Fathom Events has partnered with Warner Bros. Pictures to bring Academy Award winner Peter Jackson’s poignant WWI documentary “They Shall Not Grow Old” to movie theaters across the U.S. on Monday, December 17, with an encore presentation on Thursday, December 27. The film is presented in 2D and RealD™ 3D, and tickets go on sale on Friday, November 16, at www.FathomEvents.com and participating theater box offices. Jackson recorded a special introduction to the film—which he has called his most personal—offering his perspective on why the film is important for audiences, who have never experienced WWI footage as anything but grainy black & white… and silent. In “They Shall Not Grow Old,” Jackson opens a window to the past in a way that has never been seen or heard before, noting, “Restoration is a humanizing process.” The screening will be immediately followed by special content offering firsthand insights into what went into this groundbreaking feat of research, filmmaking and storytelling. The Long Ranger Deluxe Engraved Edition rifles are built to the same specs and performance levels as the original Long Ranger rifles announced in late 2016 with the most significant difference being the lightweight alloy receiver finished with a nickel plating, intricate scroll engraving, and lightly accented with 24K gold inlay. The Deluxe Engraved Edition is available in .223 Rem/5.56 NATO (H014D-223), .243 Win (H014D-243), and .308 Win (H014D-308) with an MSR price of $1,850. The Long Ranger Wildlife Engraved Edition rifles provide another twist to the original Long Ranger finish with highly detailed engravings saluting some of North America’s most revered game. The receivers share the same nickel plating and 24K gold highlights as the Deluxe Engraved Edition rifles. The .223 Rem/5.56 NATO version (H014WL-223) features a single coyote head on the left flat of the receiver and a pair of full-figured coyotes on the right. The .243 Winchester version (H014WL-243) shows a single pronghorn antelope head against a background of rolling hills on the left side of the receiver, and a full-figured pair on the prairie on the right. The .308 Winchester rifle (H014WL-308) depicts a majestic bull elk in a mountain setting on its left, and a grazing pair on its right flat. The MSR price for the Long Ranger Wildlife Engraved Edition rifles is $1,850. As an expansion to Henry’s line of premium break action single shot rifles and shotguns, both .30-30 Win and .357 Magnum are now available. 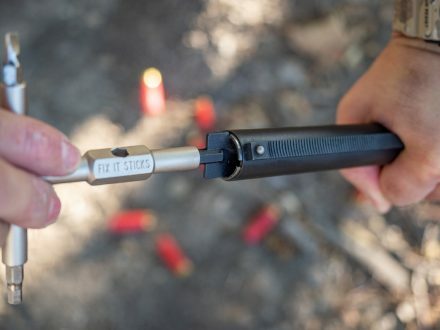 Single shot rifles are often sought out for their dependable simplicity, lighter weight, or the challenge that they provide to hunters who value the more methodical approach required when only one shot is readily available at any given time. The .357 Magnum version, which can also shoot .38 Special ammunition comes in either a blued steel receiver (H015-357) or a hardened brass receiver (H015B-357). The .30-30 Win rifle is only available with a blued steel receiver (H015-3030). The MSR price for the brass .357 Magnum rifle is $576, and the MSR price for both steel versions is $448. Until now, Henry’s youth-sized firearm offerings only came chambered in a .22 caliber. The new Single Shot Youth Rifle and Single Shot Youth Shotgun add 2 new options for youth hunters. The rifle is available in .243 Win (H015Y-243) and the shotgun is available in 20 gauge (H015Y-20). Youth hunters often learn the basics of responsible firearm handling with a .22 rifle and then graduate to a milder shooting, but more powerful round for game. 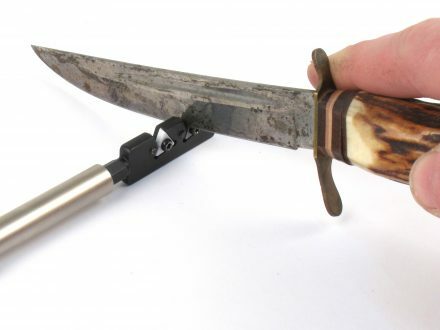 Both of these youth models are finished with blued steel metal and American walnut stocks with a length of pull that is 1″ shorter than their full-sized counterparts. The MSR Price for each is $448. All Henry firearms can be purchased through a licensed firearms dealer. Most dealers offer a discount off of the MSRP. 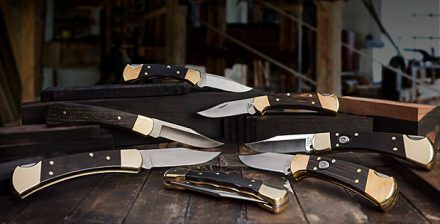 For more information about Henry Repeating Arms and its products visit henryusa.com or call 866-200-2354.